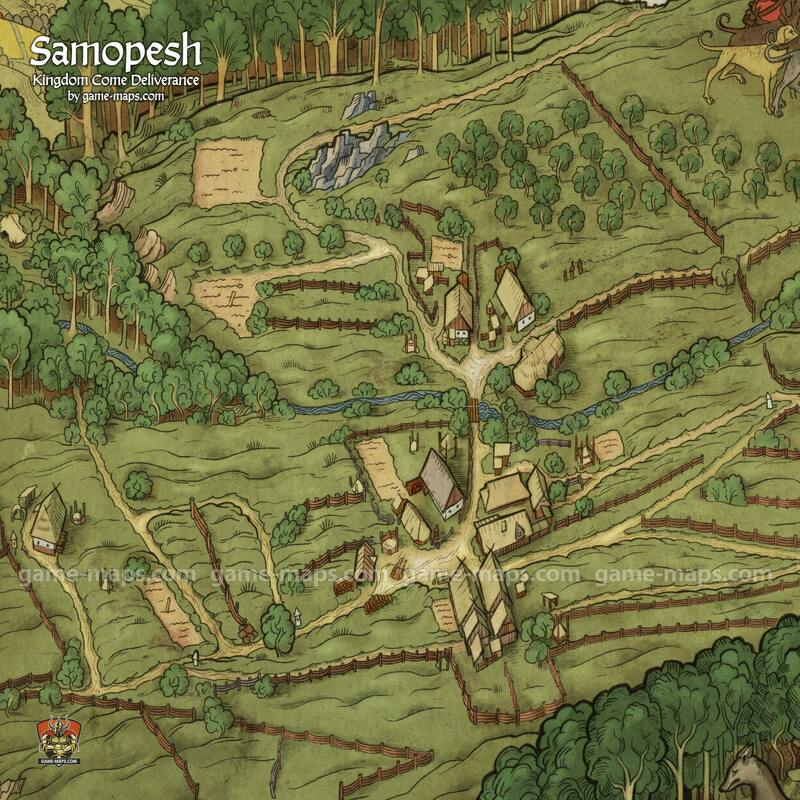 Map of Samopesh in Kingdom Come Deliverance KCD Video Game. Samopshe is a small village in Posázaví, not far from Rattay, first mentioned in 1397. Together with two nearby mills (Bilin Mill and Bart’s Mill), it belonged to the Sasau Monastery until 1412 and was renowned as a centre of agriculture and for a special type of wheat known as “Samopshe-spelt”, which gives the village its name.